Prime walking/mulling/writing/coffee-drinking weather in Shanghai this week. The work portion of my China trip over, I flew to Shanghai on Sunday morning for a week-plus of vacation. The minute I walked out of Hongqiao Airport, everything clicked: I was back in familiar territory—my territory. I jumped into a cab and smoothly gave the driver instructions to get to my hotel, knowing exactly where he needed to go and the best route to get there. As the car jostled in stop-and-go traffic on Yan’an Elevated Road, I looked out over the city and spotted one familiar sight after another. There’s the university where I taught; there’s the block of apartment buildings I lived in; there’s the place with the best wonton soup, around the corner from the archives. 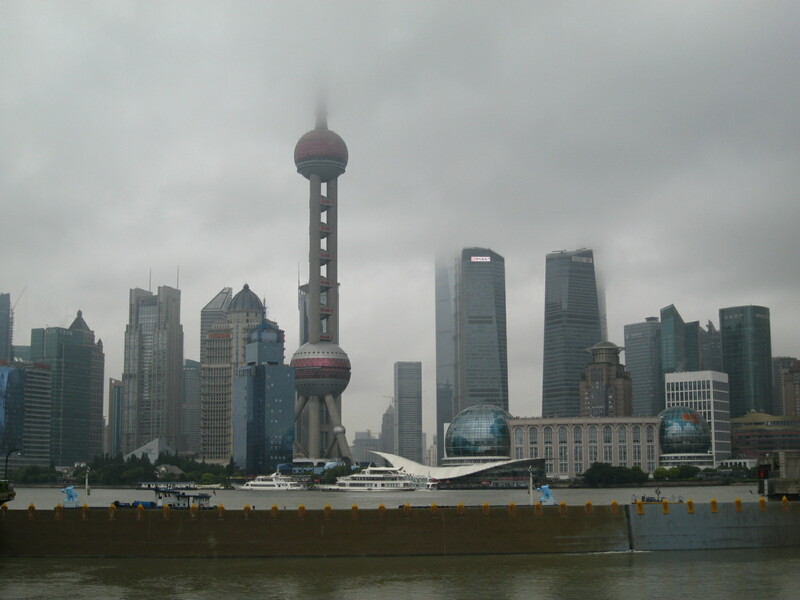 It’s been nearly eight months—but only eight months—since I moved back to the U.S., and Shanghai looks mostly the same. Over the last six weeks, I’ve been on the mailing list for a series of “Tiny Letters” that my Twitter-friend Liana Silva has been writing. One of Liana’s recurring themes is the idea of home—what makes us regard a place as home; why some places don’t feel like home, no matter how long we live there; how we make the transition from residing in a place to regarding it as home. Walking around Shanghai these past few days, revisiting favorite haunts and reflecting on ten years of encounters with the city, one thought has slammed into me again and again: this is still my home. Or one of my homes, at least, though the only other place that I would put on the same level is Philadelphia, where I grew up and where my family still lives. I spent a decade moving again and again—to Beijing, New Haven, Hangzhou, Nanjing, Southern California, and Princeton—but I don’t associate any of those places with the word or feeling of “home.” I lived in them, but I never really settled in. Shanghai is different. I know this city: not just its street layout or where to go for good Hunanese food, but also its history and its stories and its rhythms and its sounds. All of this has me reflecting on Jersey City/New York, which are not [yet?] my home. Don’t get me wrong: I enjoy and appreciate working in New York, and I’ve been having fun exploring Jersey City over the past few months. But neither of those places has inscribed itself on my brain, my feet, my heart. I’m still getting to know them, and it feels like that process will take longer than it did with Shanghai. “I can’t understand my life without New York, even though I’m getting better at living away from it,” Liana wrote in her second Tiny Letter, putting into words a feeling that I’ve been wrestling with these past few days. I might live in Shanghai again. I might not. But I can’t understand my life without this city. Oh, and please call when you are free for coffee! I can also relate and am so glad you made it back to Shanghai soon after you moved away.